Leica Tripods are well regarded by the market for being extremely stable and long lasting. 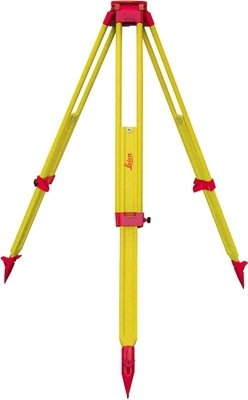 Leica GST120-9 Sturdy Wooden Tripod, extension leg, 6 feet long, with auto-locking leg mechanism. The GST120-9 model provides an unique, patented self-closing feature for quick set-up and stowing. The Leica GST120-9 fits all Leica Geosystems levels, theodolites, total stations and GPS antenna.